New Zealand has a temperature that isn’t too extreme, with high rainfall and warm enough sunlight. New Zealand climate is dominated by mountains and oceans. Although not too extreme, sometimes the weather in New Zealand can be quickly changed. For example, it could happen cold air or strong winds. However for those who will do hiking or other outdoor activities, don’t forget to prepare for anticipated this. Because New Zealand is located in the southern hemisphere, the air temperature will go down if we move further to the south. Warmest months are December, January, and February. While the coldest temperatures occur from June to August. In the summer, during the day in New Zealand can be up to 9 pm. Due to the low levels of pollution, ultraviolet rays stronger. Therefore, to avoid sunburn, use sunscreen as the sun sting. If visiting during the summer, prepare too thin jacket to the air of anticipation could be cold or when visiting places higher. And, if visiting between May and September, winter clothes and bring layered clothing. When summer days are usually long and warmed by the sun, and at night becomes cool. Summer is the perfect time to travel and perform a variety of outdoor activities. The beach in New Zealand is very suitable for tourist activities such as sunbathing, swimming, surfing, sailing, and other water activities. The temperature in the fall is usually a little cooler than summer. The weather is also usually good and still allow for activities like swimming until april. Change the color of the leaves in the trees produce a beautiful landscape, especially in the area of ​​Hawke’s Bay and Central Otago, which is famous for its scenic autumn. 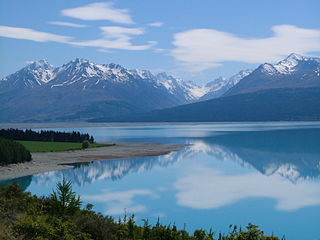 In addition to the cold weather, winter in New Zealand also bring heavy rainfall in almost all areas in the North Island. Mountain ranges in both islands covered with snow, so when winter scenery was so beautiful. Besides skiing, winter is also a great time to visit the mountains, glaciers, and other beautiful scenic spot. Spring when the weather is cold and sedkit variety of ice, to warm and sometimes hot. In the spring the trees began to grow, flower buds popping up, and the lamb is born, for white water rafting enthusiasts, spring is a good time to enjoy a swift river currents winter snowmelt results.